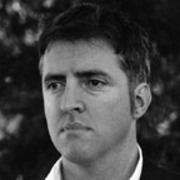 Anthony McCarten demonstrated a gift for dialogue early in his prolific writing career, a career that would find early success with play Ladies Night (co-written with Stephen Sinclair), and, in 2015, BAFTA glory for Stephen Hawking romance The Theory of Everything. Growing up in New Plymouth, nearby Mount Taranaki was “the central feature” of McCarten’s adolescence, a place where weekend climbs and encounters with flooded rivers helped teach him his limits. An Enid Blyton book taught him the excitement of reading, around age seven. Later, American writers like Jack Kerouac persuaded McCarten that literature could be written about — and by — ordinary people. Kerouac also inspired him to travel. During a musical phase in his teens, he even recorded his own album. “It sucked”. Time in Stratford as a journalist for The Taranaki Herald proved unsatisfying. McCarten struck gold in 1987, after co-writing Ladies Night with Stephen Sinclair. Based on a group of unemployed workers who develop a male strip show, the play became one of the most successful in Kiwi theatre history. It also spawned sales to 60 countries, sellout UK tours, a sequel and a French Moliere Award. A decade later, McCarten and Sinclair settled a case out of court, which alleged that British movie hit The Full Monty copied their work. By the time Ladies Night debuted, McCarten was starting to add screen work to the dozen plays on his resume. His first paid work for the screen was on series Worzel Gummidge Down Under. Worzel producer Grahame McLean bought the film rights to Ladies Night, with McCarten working on the script (it was never made, although later the play was filmed for Belgian TV). McCarten also wrote a number of short films, including madcap award-winner Rodney and Juliet. McCarten made his screen directing debut with 1992 short Nocturne in a Room, which follows a pianist in the minutes after he takes an overdose. Six years later, thanks partly to encouragement from producer Philippa Campbell, he directed his first feature, Via Satellite. Although playwriting was no preparation for the gruelling and "completely different situation" of film directing, theatre gave him a knowledge of actors, and experience in how to tell a two-hour story. Six of the cast were nominated at the 1999 NZ Film Awards; as was McCarten and Greg McGee's script. A serio-comic look at family competitiveness, the $1.4 millon film centres on a family struggling to smile before the cameras. Danielle Cormack played twins: an Olympic swimmer and her under-motivated sister. McCarten talks about making the film in this video interview. The Herald’s Peter Calder ranked it among Aotearoa's best comedies to date, an "effervescent, deftly paced and hilarious gem". The Dominion's Matthew Grainger praised the "eccentric Kiwi characters”, calling it “a hilarious and touching delight that treats suburban Kiwiana with considerable respect." Although no local hit, Via Satellite was invited to multiple international festivals, and led to offers for further projects. McCarten departed for a globetrotting career overseas, primarily in England, though he would return in 2008 to hometown New Plymouth, to direct his second movie. Show of Hands was based on his novel Endurance, the tale of a car-yard contest in which Melanie Lynskey's character tries to stay awake for extended periods to win a car. By the time his adaptation of cross-cultural novel The English Harem debuted on British television in 2005, McCarten's focus had shifted away from the stage. There were plans for McCarten to direct the movie of his coming of age novel Death of a Superhero movie in New Zealand, but ultimately the story was relocated to Ireland, under Irish director Ian Fitzgibbon. Praising the film’s unsentimentality, Variety made positive note of its “daredevil” mixture of live action and animation. Roughly 15 years after McCarten worked on his first feature film, one of his screen projects finally became a bona fide international hit. The Theory of Everything (2014) dramatises the relationship between noted scientist Stephen Hawking and his first wife Jane. After reading Jane’s memoir of their time together, McCarten told her how much he loved the story, sparking a decade long process to turn it into a film, and find funding. The challenge of the script was to find a balance between romance, the ALS condition that put Hawking in a wheelchair, and the mindspinning physics he is famous for. As one of Everything’s producers, McCarten went on to win a BAFTA award for Best Adapted Screenplay and share another for Best British Film; he was Oscar-nominated for his screenplay and for Best Film. Success spawns many phone calls. Among the scripts to follow was Bohemian Rhapsody about band Queen — directed by Bryan Singer (X-Men) — and another on the 2008 Taj Mahal Palace siege in Mumbai. In 2018 another longtime passion project was BAFTA-nominated for Best Film. Darkest Hour chronicles Winston Churchill's leadership of the United Kingdom, during tense times early in WWll. McCarten said that "not being British, I wasn't overly burdened by the myth of Winston Churchill and I came to it kind of fresh." Gary Oldman agreed to play Churchill — and went on to win a Golden Globe — despite having turned down the chance to play Churchill in another film. McCarten's script was a key factor in winning Oldman over: he found it "exciting and laced with humour."